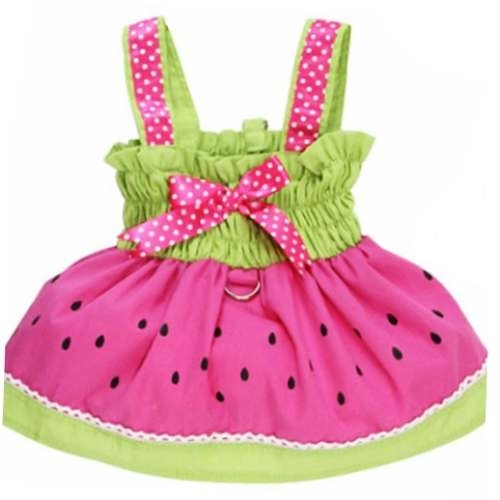 An adorable hot pink sundress for small and toy breed dogs. X-SMALL 6.5 - 7.5" 10 - 12" 6 - 8"
SMALL 7.5" - 9" 12 - 14" 8 - 10"
MEDIUM 9 - 11" 14 - 16" 10 - 12"
LARGE 11 - 13" 16 - 18" 12 - 14"
X-LARGE 13 - 15" 18 -20" 14 - 16"
NOTE: If your dog is STOUT, you should follow the size according to the CHEST. If your dog is LONG, please follow the chart according to the BACK measurement. 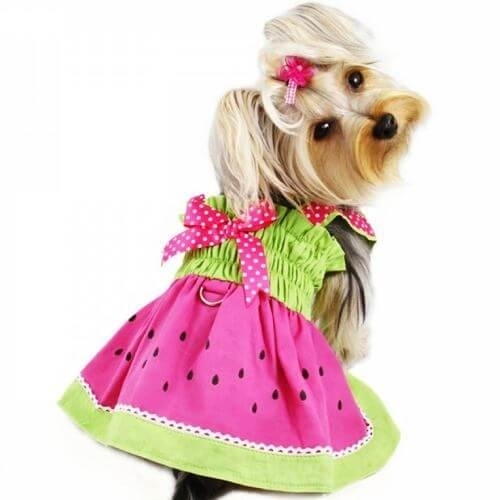 ~ Please remember to always round up to the next larger size if your measurement is near or over the maximum range in the smaller size, or you pet has a broad chest, wide underside, or thick coat.